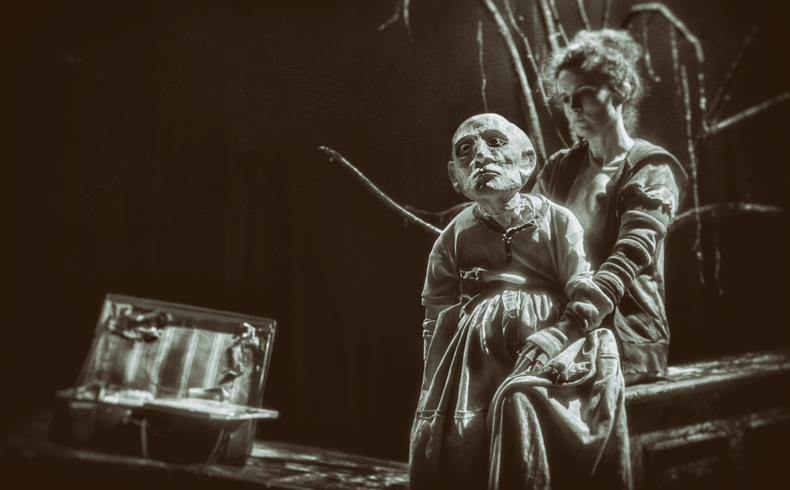 Nàufrags (Castaways) is a visual theatre show where puppets and objects share the stage with the voice and live music of the singer Bikimel. Both surprising and poetic, this show tells minor and major stories about the passengers on a huge ship which has sunk. Only two musicians have managed to survive, playing the instruments that drift by while they keep afloat, and singing songs about the crew, who are portrayed by strange puppets. Lluís Danés is a film, theatre and show director, producer and scenographer. His work is visually striking and unconventional and has obtained wide recognition nationally and abroad. He has produced music videos and projects for television, cinema and theatre, such as Llits and Wasteland for the stage, the film Llach, La revolta permanent, the pyromusical firework display for la Mercè in 2014 and the closing act of the tercentenary, El somni d’un gegant, among many other important projects.